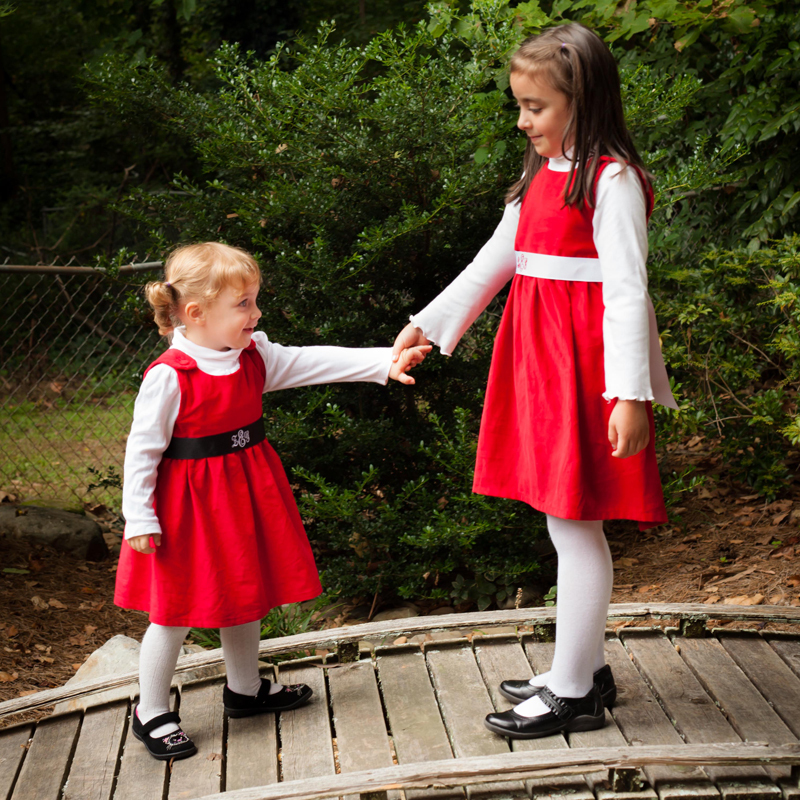 This dress is defined by the same high quality and classic design as our other dresses but has a slight twist by adding a black sash to make it as unique as the little one that will wear it. 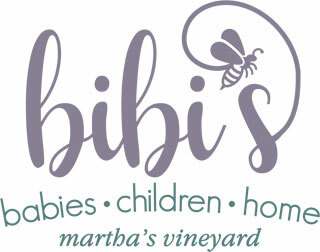 It is a perfect personalized baby gift or toddler gift, especially during the holiday season. Made in the USA with a high waist, lined bodice and covered buttons to give it the same high quality elements of all Princess Linens clothing. Delicate sash loops on either side hold the sash in place. 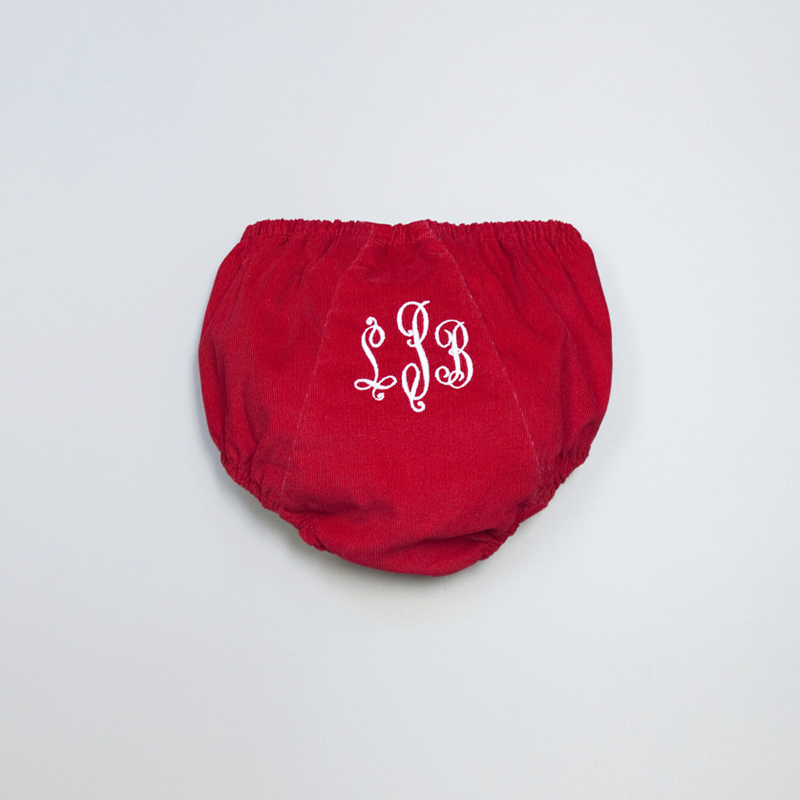 Add a matching red corduroy diaper cover to complete her holiday outfit. Simply purchase an additional sash to create a brand new look at a fraction of the cost. 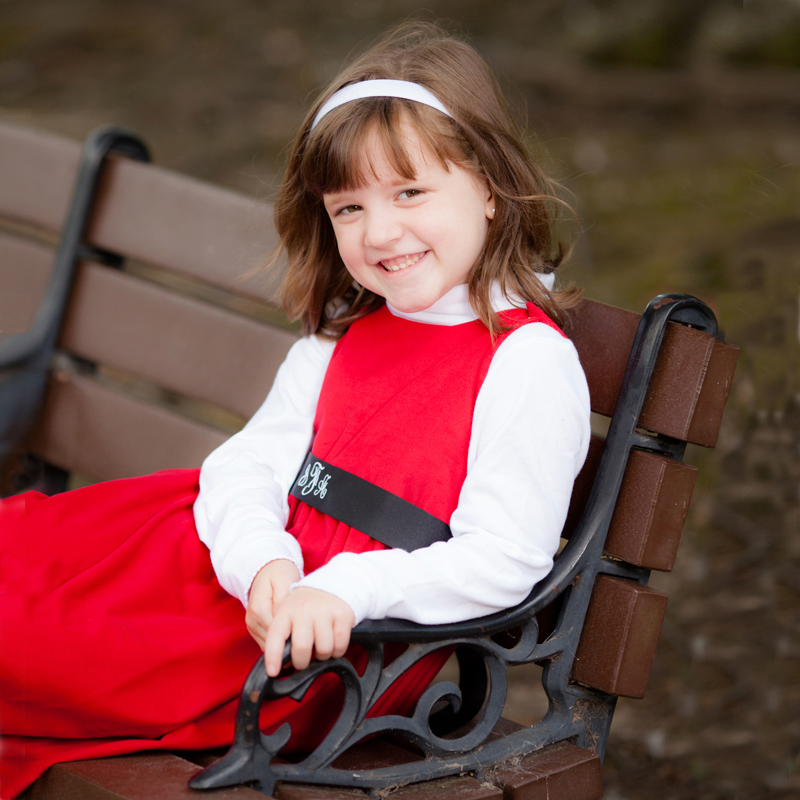 Or, once the little one outgrows the dress, simply remove the sash and pass it down to her little sister or cousin. What's better than a monogrammed baby dress that can be passed down! 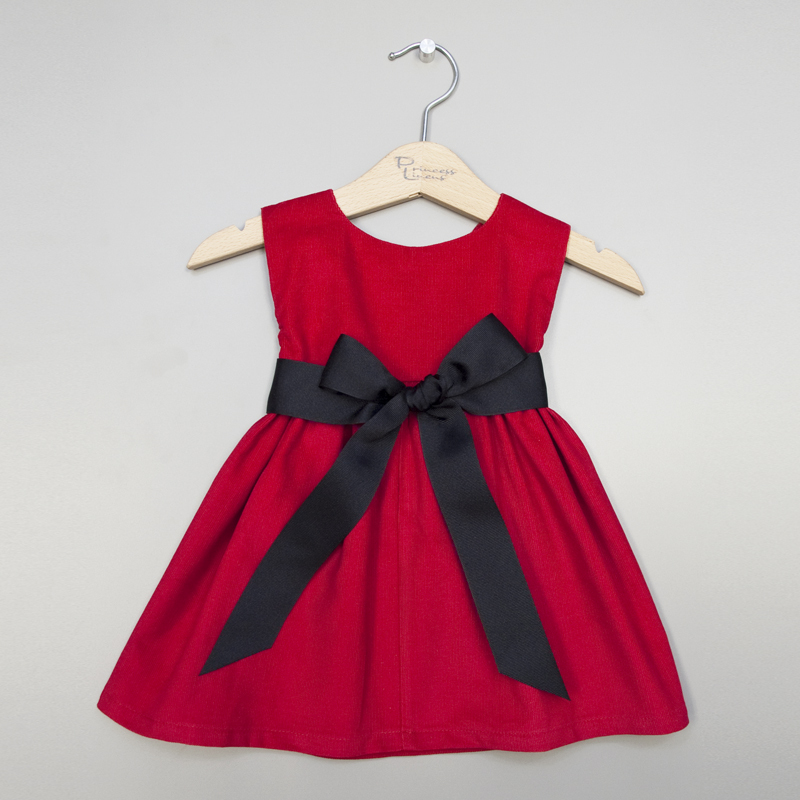 Looking for designer baby boy clothes to pair with this dress? 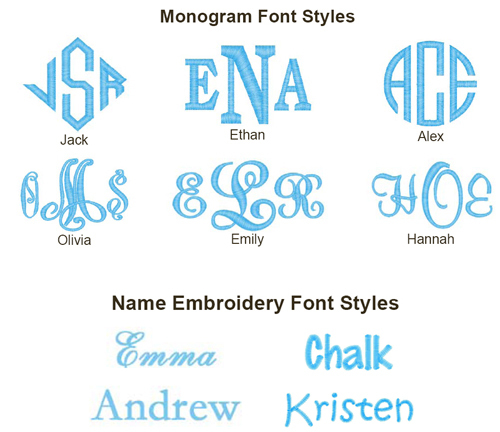 Choose this monogrammed red john john for coordinating outfits that will be the talk of the party.